Our bots are 100% up-to-date and ready! 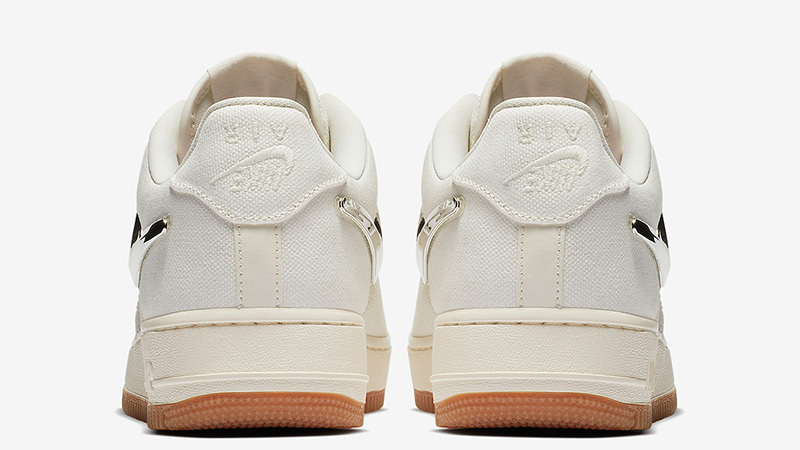 Following on last Year’s customizable White Nike Air Force 1 Low, Travis Scott is dropping a new iteration. On August 10th, 2018 a “Sail” version of the Nike Air Force1 Low will drop. This version looks identical to the previous one which dropped in December. But this iteration features Off-white/ Sail uppers. 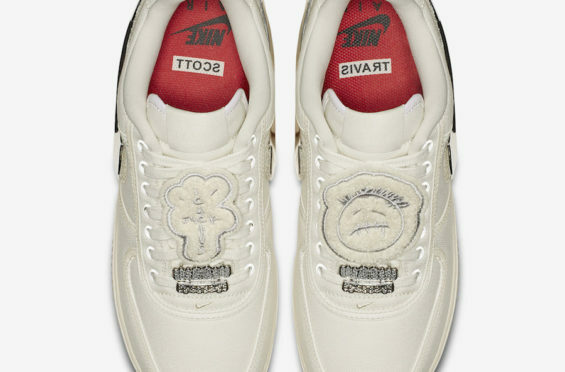 It also holds exclusive Travis Scott logo patches over the laces. Just like December’s version, this Nike Air Force 1 will also offer you a set of interchangeable Swoosh velcro patches. The Nike Air branding on the heel is placed, uniquely, upside down. And the Travis Scott branding can be found on the insoles, midsole, and gum rubber outsole. This pair is expected to be as desired and hyped as the previous release. Truth is, everything Travis makes lately seems to turn into gold. Or cash, if you’re thinking about reselling. 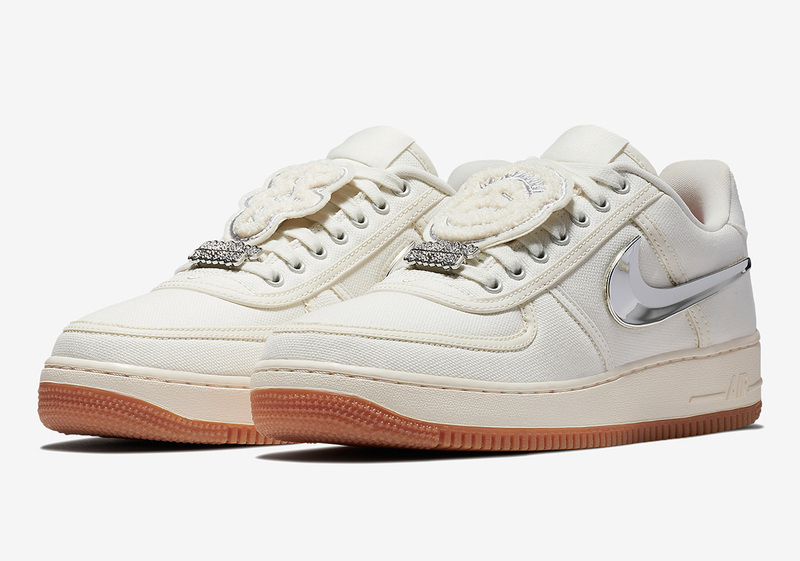 Similarly to the pairs listed on StockX, you can sell your pair of the Nike Air Force 1 Low Travis Scott and make some money. We’re talking about a minimum of $225 and a maximum of $400. compared to resale value these days, that’s really good. His latest sneakers, Air Jordan 4 Cactus Jack were among the most hyped and highly-coveted sneakers this year. So we expect nothing less from him this time. So far, 2018 looks like a great year for Travis Scott. His collaboration with Nike is expanding and succeeding. His new album “Astroworld” is now a major hit. And most importantly, he is a father now. We can really say Baby Stormi is her parent’s good luck charm! The Nike Air Force 1 Low X Travis Scott is dropping on August 10th, 2018. And it will retail for $150. Although Solelinks listed Eastbay as a potential release site, we still don’t have enough information to confirm this. So we’re sticking to the early links we have in hand so far. NikeShoeBot.com was the very first to introduce the sneaker head community to the sneaker bot. Over 3 years later we're still leading the way. Our SneakerBot Program has been deemed the MOST DOMINANT sneaker bots ever created! Stay tuned as we continue to develop new products that will keep those limited sneakers coming at retail price!